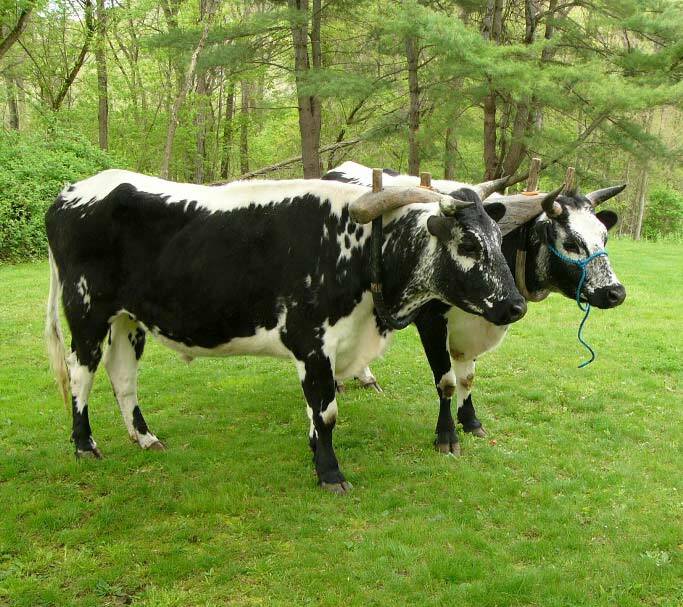 Team of Randall lineback cattle; Vermont's official heritage breed of livestock. Photo by CTPhil/Wikipedia (Public Domain Image). 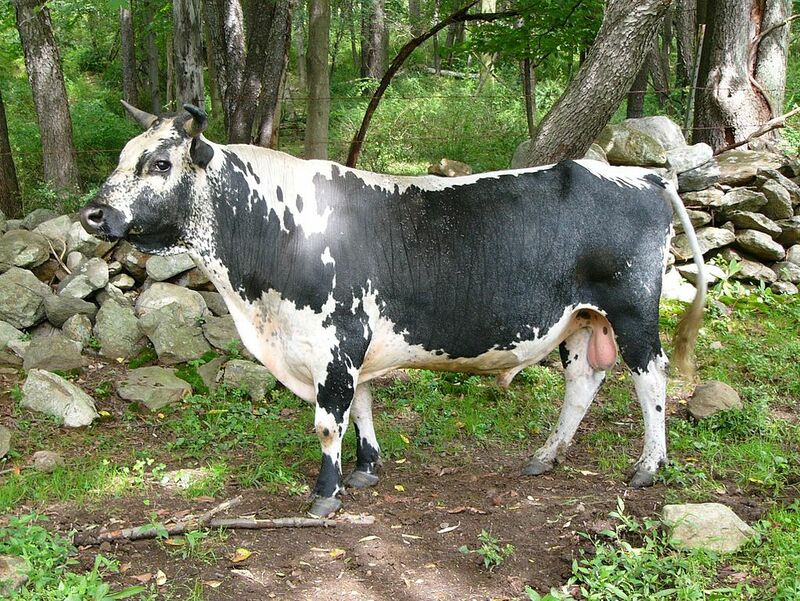 Randall Lineback cattle; bull. Photo by CTPhil/Wikipedia (public domain image).